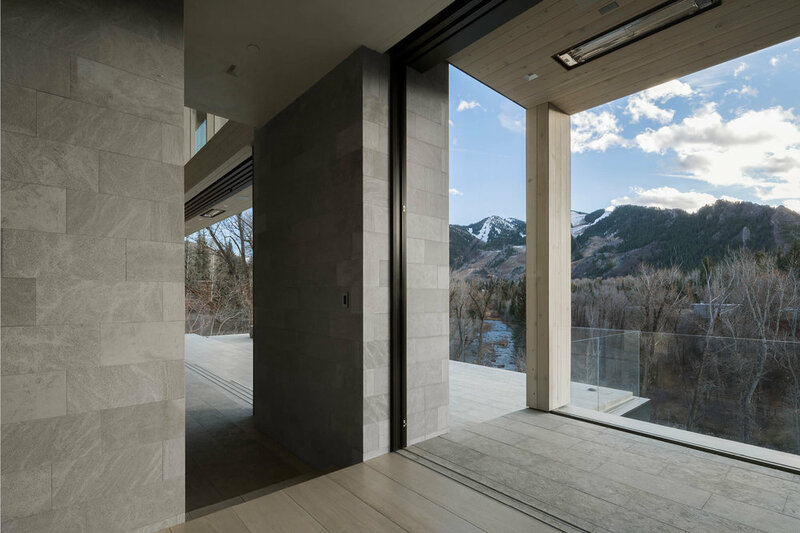 Conceived as a generational mountain retreat, the Aspen Residence cuts into a steep river bluff high atop the Roaring Fork Valley. 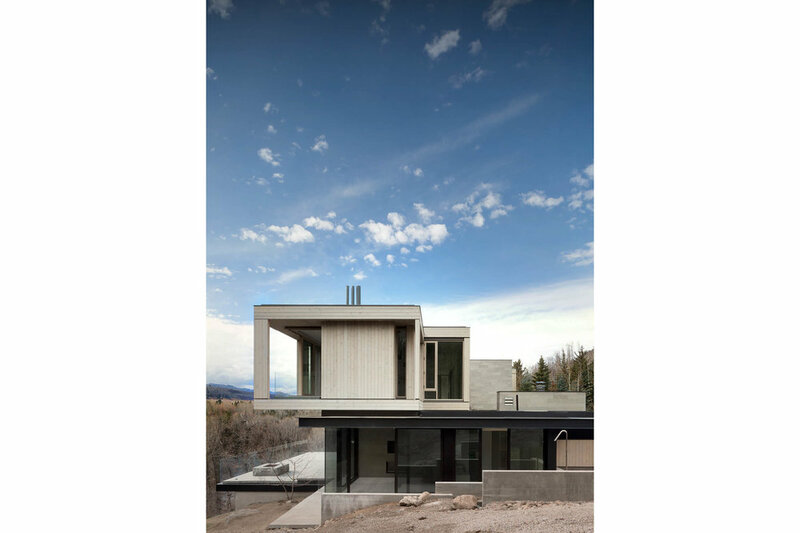 Local geology including nearby, abandoned quarries inform the materiality and spatial dynamics of the house. 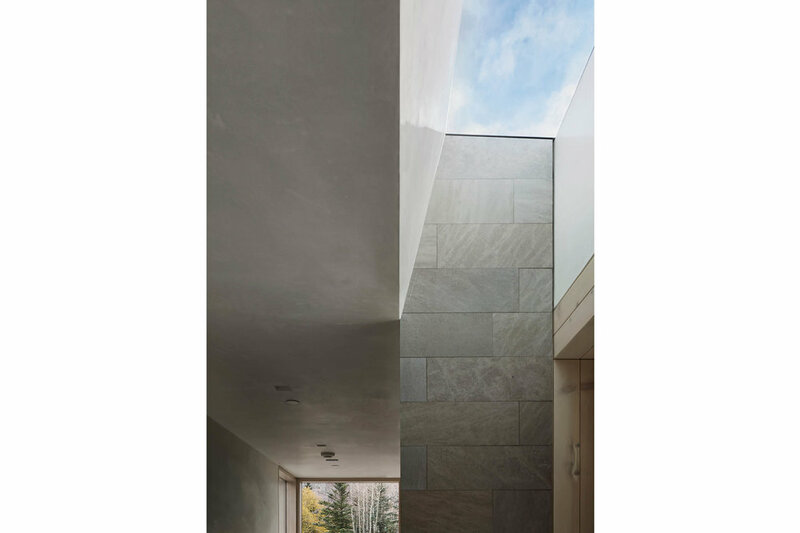 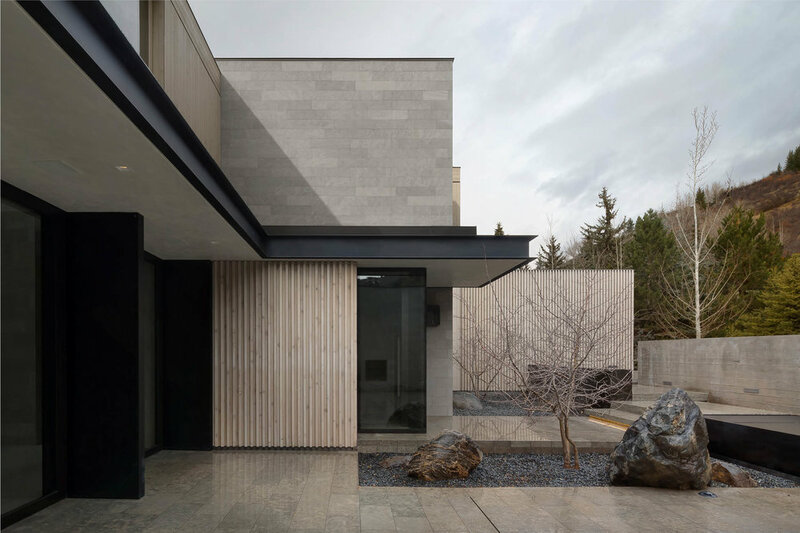 Large, stone monoliths organize the primary program and anchor the house to the steeply sloping site. 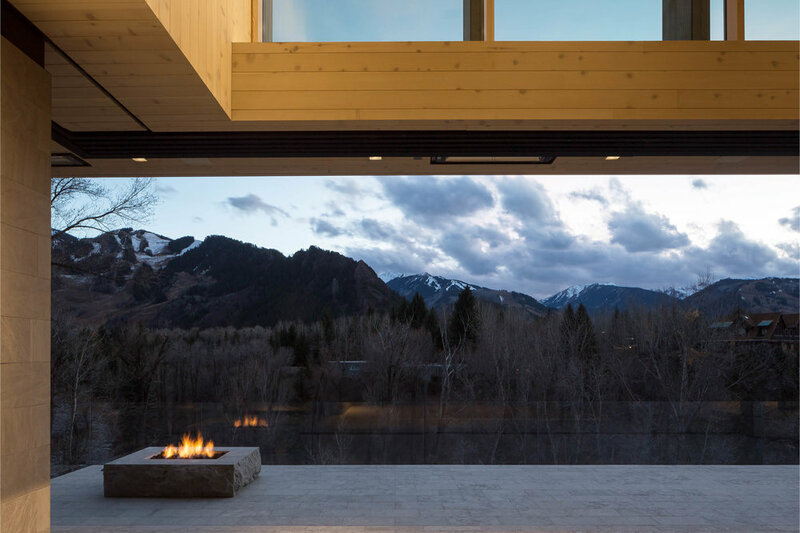 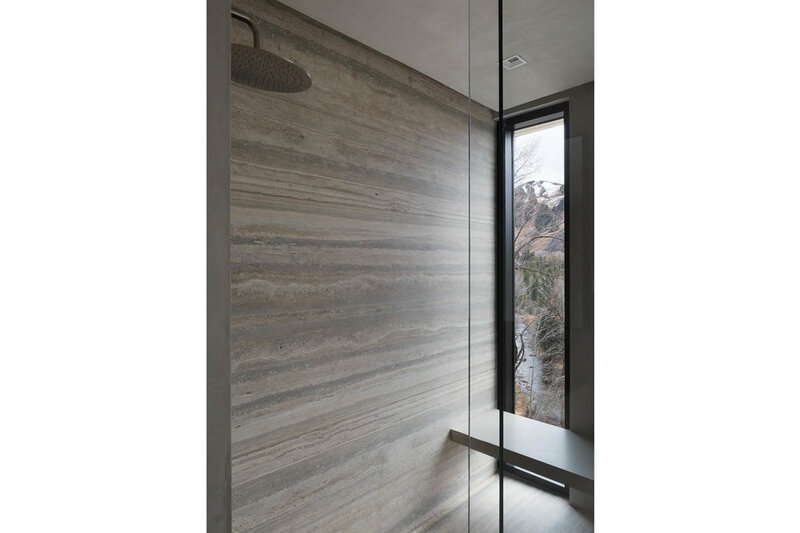 Overhead, amongst the canopies of aspen groves, a series of wood volumes slip through the stone masses capturing mountain, valley and river views.